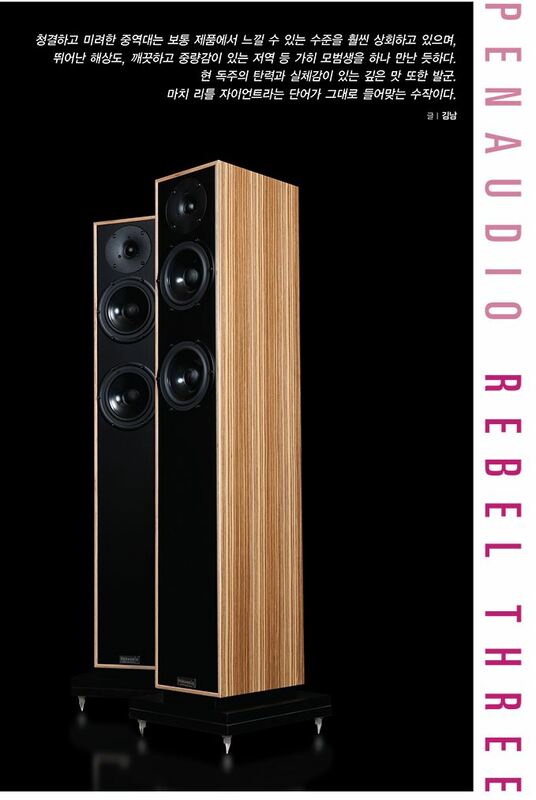 Penaudio Cenya in Stereophile's 2015 Recommended Components Fall Edition Loudspeakers! "The Cenya is a two-way, rear-ported minimonitor with a 0.75" tweeter and a 6" mid/woofer, both sourced from SEAS. The beautiful cabinet measures 11.2" H by 6.4" W by 12.6" D and is made of laminated birch plywood and MDF. ST achieved best results when placing the Cenyas in the nearfield, noting an especially wide, deep soundstage with pinpoint imaging. The tonal balance was "refreshingly cool" and well suited to classical and jazz, he said. (Vol.35 No.6)"
One more great news from France. Cenya Signature reviewed by Haute Fidélité! fabrique des créations de Sami Penttilä. La restitution est pleine, le message équilibré et intense de ces compactes étonnera les. 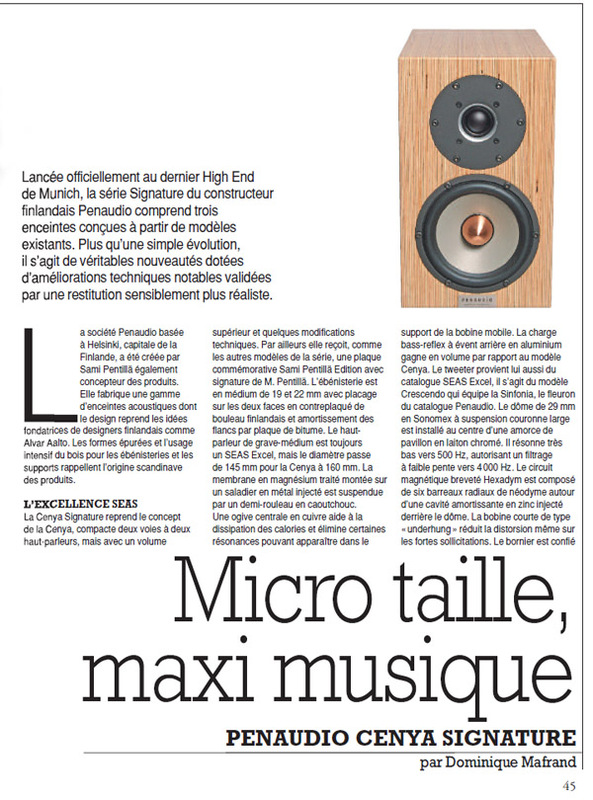 Diapason French Magazine reviewed the loudspeakers from €3000 to €9000 and found Cenya as one of the best! Read more (PDF, french): part 1, part 2, part 3. Three great reviews from Korea. 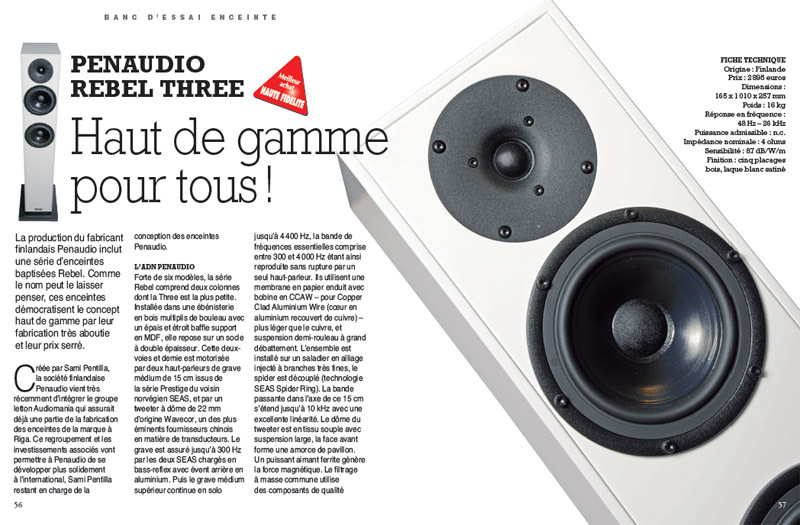 Audio Hi-Fi & Home Cinema Magazine reviewed Cenya, Rebel Two and Rebel Three! One of the most famous premium loudspeaker developers in Europe, Penaudio (Finland) has become a part of “Audiomania” group. The preparations for the deal began in 2014 and were complete in April, 2015. The owner of 50.2% of the stock is now World Audio Distribution LLC, part of the “Audiomania” company group. By the time the deal was made, Penaudio’s manufacturing was partially moved from Finland to World Audio Distribution's factory in Riga, the same place where Arslab loudspeakers are being manufactured for the last few years. 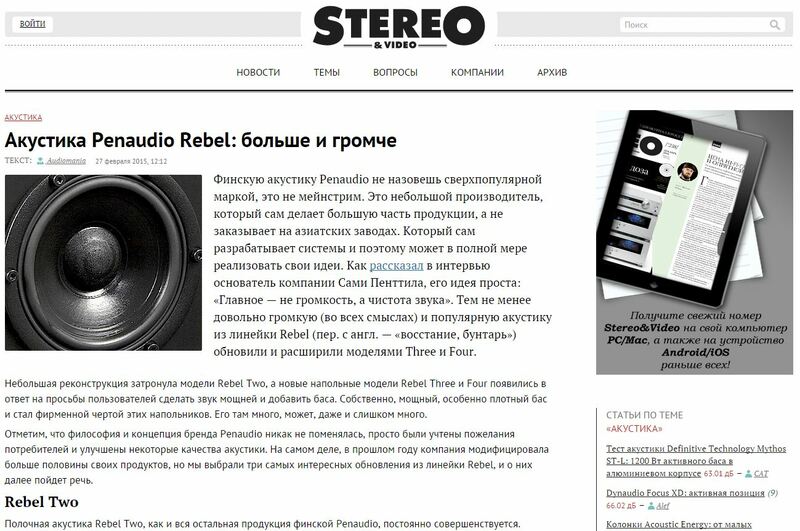 The CEO of Audiomania, Artem Faermark had this to say: “We have been developing this brand’s sales in Russia since 2005. And the decision of purchase fits in our vision of Penaudio brand’s prospects in our country and the world. The deal will only strengthen them, as we intend to invest in its growth and further progress on the Russian and international market. The company’s founder, Sami Penttilä, remained the owner of minor stock, as well as the designer of all loudspeakers and the brand’s inspirer, what I call the soul of the company”. World Audio Distribution is a Europe based company specializing in original high quality sound products. The company's goal is to provide you with new and innovative solutions that enhance the listening experience. 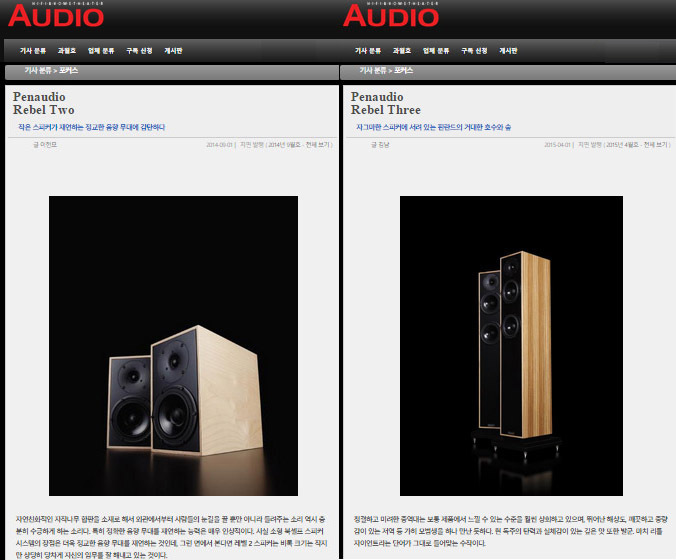 "New Penaudio Loudspeakers: even larger and louder".